Bitsend.cc | We are happy to be listed on blocknet.co. Bitsend.cc / News / We are happy to be listed on blocknet.co. #BitSend community believes in us and supports our moves. Thank you for your support/votes for Block DX listing. 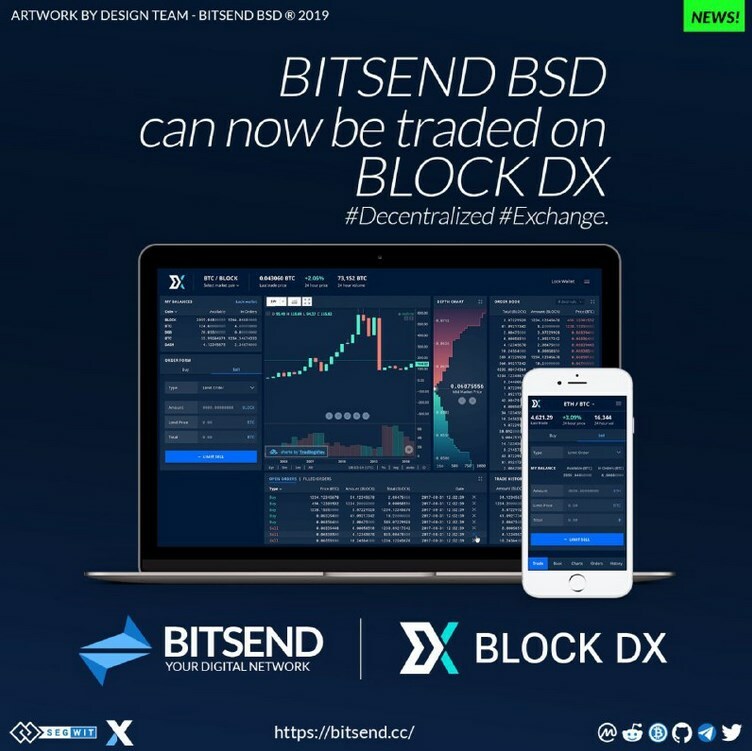 $BSD can now be traded on @The_Blocknet #BlockDX #Decentralized #Exchange. Moreover, $BSD is ready for cross-blockchain #dApps with new #Blocknet integration!